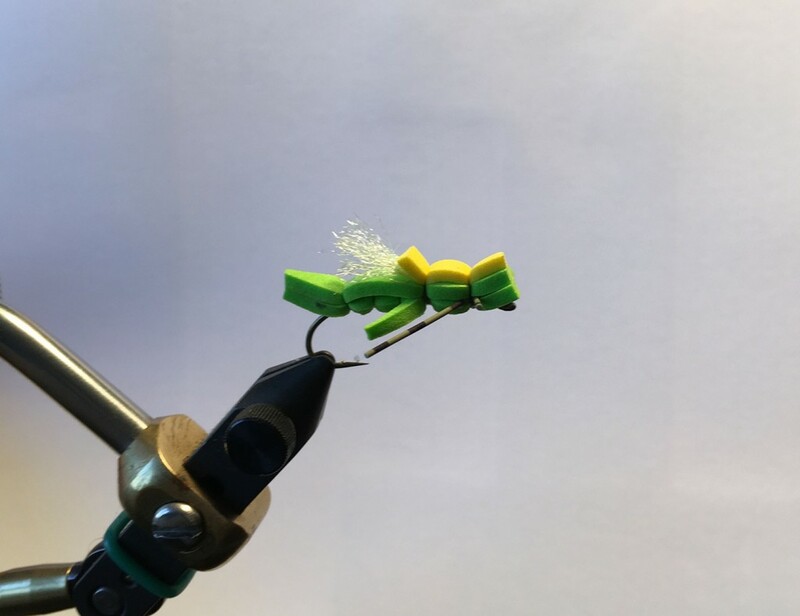 “The KP SLAMMER pattern is one i have been tying for over 15 years.The fly is similar to the Lightning Bug but its slightly different and i was tying this pattern before the Lightning Bug pattern came out. I call the pattern the KP SLAMMER because it uses pearl Krystal Flash and Peacock herl as its main materials which IMO, have super fish attraction qualities. 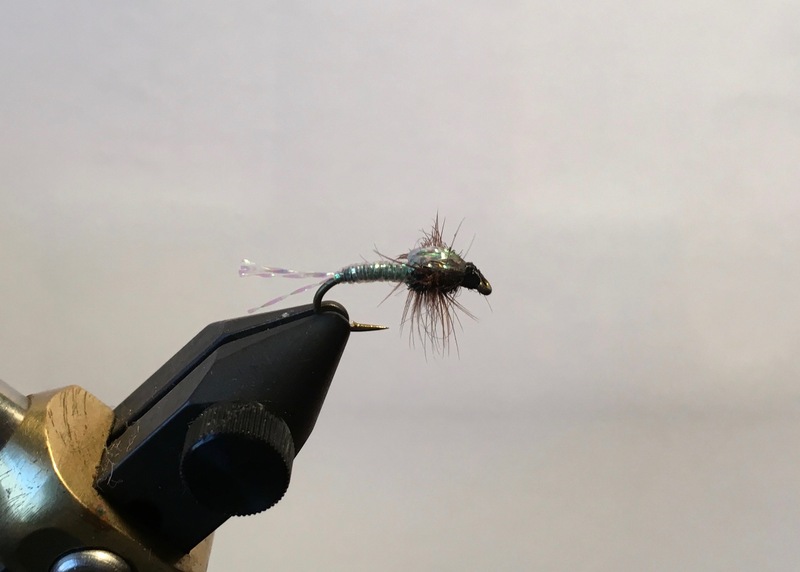 A lot of the time trout really Slam this fly so that is how this pattern got it’s name. For me it works best when tied in sizes 14 to 18 and fished when SE MN hatches are at their best. I mostly fish this pattern deep which requires weight on your tippet. It really works super well using the Leisering Lift when different mayfly species are emerging heavily. Legs: 2 turns of brown hen hackle. 2.Wrap black thread to bend of hook. 3. Tie in 3 or 4 strands of pearl Krystal Flash for the tails. The tail length is about 60% of hook shank length. then wrap thread about two thirds the way up the hook shank, tie off. 4. Use the same 3 or 4 strands of pearl Krystal Flash to form the abdomen area. The abdomen area should be approx.two thirds of the hook shank length. Once you wrap the pearl Krystal Flash two thirds up the hook shank tie off. 5.Tie in and secure about a dozen or so pearl Krystal Flash strands to be used as the wing case and tie off. 6.Tie in one brown hen hackle to be used for legs. The hackle should be approx.1 to 2 hook gaps in length. 7.Tie in a couple peacock herl strands and wrap forward to form the thorax area and tie off. Make sure you leave room for the thread head. 8.Wrap the brown hen hackle forward 2 turns over the thorax area and tie off. 9.Pull the pearl Krystal Flash strands used for the wingcase over the thorax area and tie off. 10 Then finish off the head area and your done. Note: I’m sure this pattern could be tied in many different colors by simply changing the Krystal Flash color and possibility the thread and hackle colors. I’ve noticed trout at times are all over this pattern when nothing else works and at other times not quite as much. It can be a worthwhile fly to have in your arsenal. 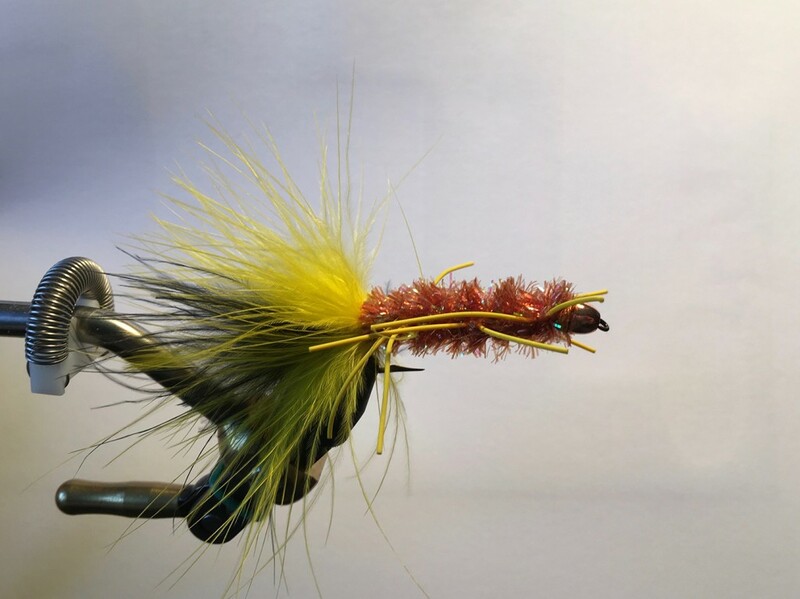 This entry was posted in fly tying, message board on March 30, 2016 by Randy.